Waterproof work wear is a must around here, it rains, a lot! We have bibs, jackets & pants by Carhartt to keep you dry. No more wet feet when you wear boots by Ariat and Noble Outfitters. Keep your feet warm with socks by Carhartt, Noble Outfitters and Smartwool. 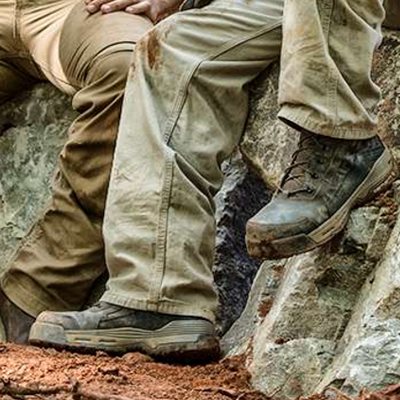 Carhartt, Wrangler and Ariat provide you with the everyday kinda workwear, even double knee pants.